WASHINGTON, DC, January 31, 2013 (ENS) – Combating climate change is important to Senator John Kerry of Massachusetts, who was confirmed by the Senate 94-3 on Tuesday as the Obama Administration’s new Secretary of State. Kerry will be sworn in on Friday afternoon by Supreme Court Justice Elena Kagan and his first day at the State Department will be Monday. “Senator Kerry has convened eight major hearings and roundtables on climate change and energy security since taking the gavel of the Foreign Relations Committee in 2009,” said Reid. 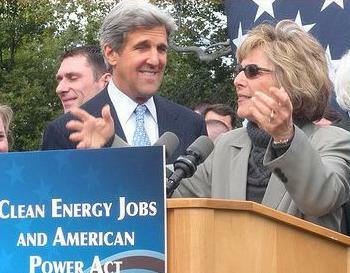 In 2009, Kerry supported legislation to control the greenhouse gases responsible for climate change by establishing a market-based cap-and-trade system to trade emissions permits. It passed the House but failed in the Senate. 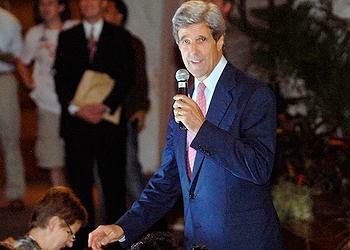 Kerry has a long history of involvement in international climate negotiations. While serving as a Massachusetts senator, he was a delegate to the United Nations Rio Earth Summit in 1992 and the Kyoto climate talks in 1997. He has spoken at the UN Bali climate negotiations in 2007 and at the Copenhagen climate talks in 2009. As his last legislative move, Senator Kerry co-sponsored a bill to make the nation stronger in the face of extreme weather caused by climate change. The Strengthening The Resiliency of Our Nation on the Ground (STRONG) Act was introduced December 19 2012 in response to the devastation wreaked by Hurricane Sandy along the Atlantic coast. “Hurricanes, flooding, drought and other extreme weather take an immense toll on communities, homeowners, the local economy, and our first responders. 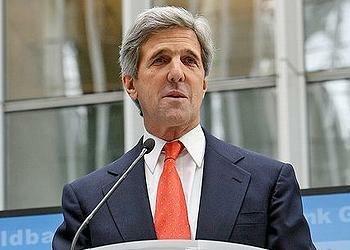 This bill would help support and encourage state and local governments to prepare for extreme weather,” Kerry said. During his 28 years in the U.S. Senate, Kerry has earned what the League of Conservation Voters calls “an impressive 91 percent lifetime score” on LCV’s National Environmental Scorecard. The environmental community sees Kerry’s selection as a signal that President Obama plans to push for action on climate change during his second term of office. “We look forward to the opportunity to work with Secretary Kerry and his team as they redouble America’s commitment to diplomatic leadership in confronting the climate challenge,” said Krupp. “We are excited that he will bring his strong credentials on climate to the critical decisions facing our planet, including increasing access to affordable clean energy options and stopping the expansion of dirty tar sands and coal worldwide,” said Brune, highlighting two of the Sierra Club’s most prominent campaign goals.